Three years ago I had a solid symmetric ~300 Mbps connection (I actually measured 291 download and 415 upload, sic! – during that time I might have had been the best individual Kubuntu live DVDs seeder out there…). Today that ISP delivers symmetric 700 Mbps for ~$9.50/month. Unfortunately I moved to another city district and had to change ISP to a much worse one. To be clear, I'm not pro-DRM. Some points in your argument are valid, but did you watch the presentation? I think the point you missed when answering my question is that Stadia, being server-based has capabilities you *can't* get on your PC. 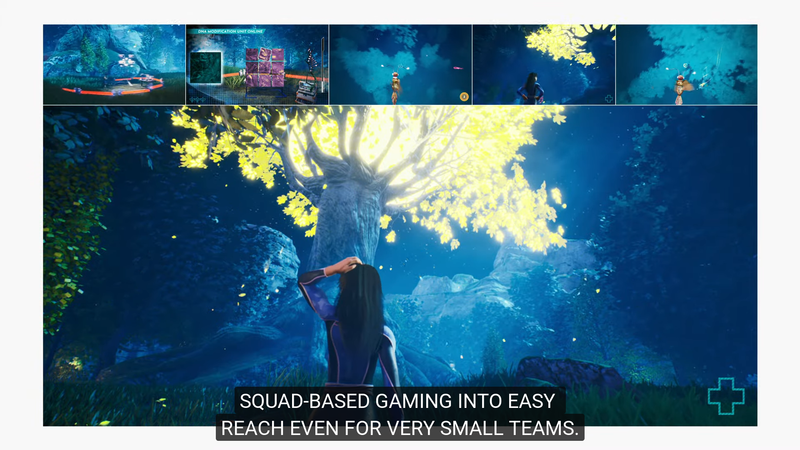 If you have a squad of 6 people, there will be a huge strain on your network to stream their views while playing. Very-large-scale multiplayer will also have issues. 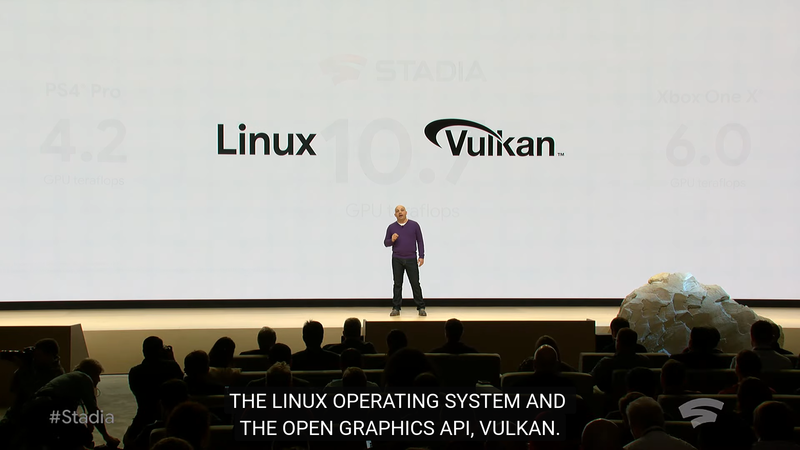 It's not the GPU they use that makes Stadia special (not at all). It's the fact that instances of a multiplayer game talk through Google's internet backbone. And your idea that you can buy a game, and have the option to stream it at a cost would be nice. Feel free to suggest it, who knows maybe it gets implemented at some point. ShabbyX To be clear, I'm not pro-DRM. Some points in your argument are valid, but did you watch the presentation? I think the point you missed when answering my question is that Stadia, being server-based has capabilities you *can't* get on your PC. If you have a squad of 6 people, there will be a huge strain on your network to stream their views while playing. Very-large-scale multiplayer will also have issues. 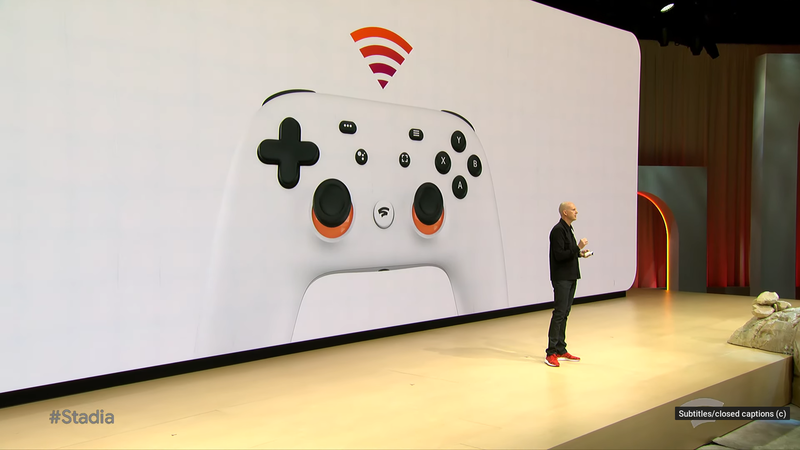 It's not the GPU they use that makes Stadia special (not at all). It's the fact that instances of a multiplayer game talk through Google's internet backbone. Sure, having a massive backend has its benefits. 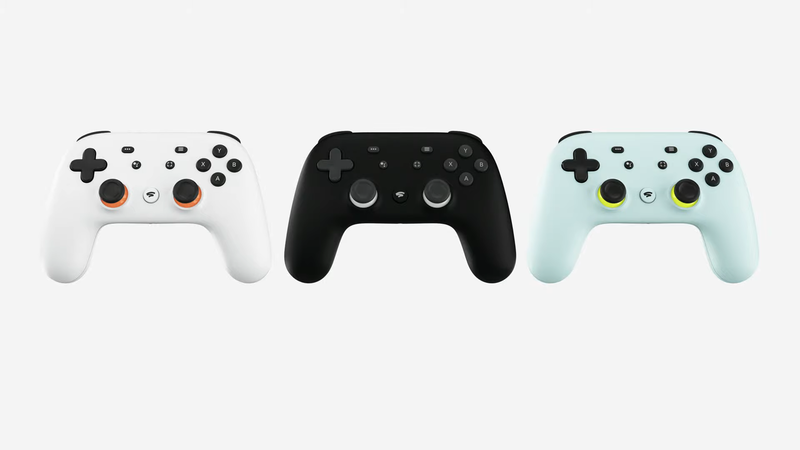 I think Stadia can be useful for some multiplayer games specifically (isn't it hinted in the name Stadia itself? ), like MMORPGs and the like where server backend is essential. For such games to be fully preservable, it's not enough to just buy the game anyway, the server code must be open source, so it could be run independently. That's not so often found in MMORPGs. I.e. most of them are closed anyway, so service like Stadia doesn't really change things much for them in this regard. ShabbyX And your idea that you can buy a game, and have the option to stream it at a cost would be nice. Feel free to suggest it, who knows maybe it gets implemented at some point. Any recommendation to whom send such proposal? Google isn't exactly known to be very open to external communication. I don't mind sending a suggestion, as long as it won't go to some usual stone wall of support. Oh don't you worry, it won't be long until the first game can't be run on a desktop machine anymore and it will be a point of pride for the developer. The resource demand will scale with the available resources, so unless Google puts a hefty price tag on that they'll soon have a serious issue on their hands. Yes, exactly. They are genuinely offering the development community something different, but whether it will be affordable, and when a sufficient audience will have the required network characteristics are still questions to be answered. Which is one argument against net neutrality - you can't guarantee the quality of service you think you are paying for. ... Like, let's say AT&T decides to launch it's own game streaming service and begins throttling all traffic going to and from Google Stadia. This is what Net Neutrality is worried about. Mohandevir ... Like, let's say AT&T decides to launch it's own game streaming service and begins throttling all traffic going to and from Google Stadia. This is what Net Neutrality is worried about. Or more likely, it won't count their service against their obnoxious data caps, while counting Stadia and others. Which in the Stadia context brings the questinon, why did Google throw in the towel with their Google Fiber? They should have invested in it even more instead of abandoning, showing that services like Stadia could work when ISP is built the right way. Shmerl Which in the Stadia context brings the questinon, why did Google throw in the towel with their Google Fiber? They should have invested in it even more instead of abandoning, showing that services like Stadia could work when ISP is built the right way. In the presentation, they stated that they will have backbone that directly connects the ISPs gateways to the Stadia servers (probably this will be the magic/requirement for the "low latency" experience). So, on that scenario there is no way at which an ISP can add the Stadia data usage to your data cap limitation.